What is 35 Mile Drive? Literally 35 Mile Drive is another name for River Road West, a scenic Virginia byway in the Richmond, Virginia area. The stretch of road in question runs 35 miles through Goochland County. Some highlights from the road….things to do, places to see, right in Richmond’s back yard. Let’s start at the Henrico/Goochland county line and head west. Tuckahoe Plantation- Thomas Jefferson’s boyhood home. He attended the one roomed school house still there and open to visitors. Could it be that TJ’s appreciation for architecture and domes was inspired by the domed schoolhouse ceiling? Like many a historic property, Tuckahoe is believed to have a few supernatural residents. A popular destination for filmmakers, you could say that Tuckahoe is Goochland’s Little Hollywood. Today, Tuckahoe has a farmer’s market on Sunday afternoons during the summer, selling their grass-few beef, eggs and other seasonal items. Mother Mary of the Church Abbey- Since 1994, it has been the home of fifteen monks living in the Benedictine tradition. It is also houses the Shroud of Turin Center, a workshop destination for scholars and the faithful. There is a gift shop with monk-made items like sweets, jams, honey, textiles and a bookshop. Also, it is home of Benedictine Academy and the Bobby Ross Field. Ross (class of ’55) is a famed football coach and inductee into the Virginia Sports Hall of Fame. Thistledown Alpacas- Goochland has a growing alpaca population. Several farms are open to the public. Brookview Farm- A certified organic farm. 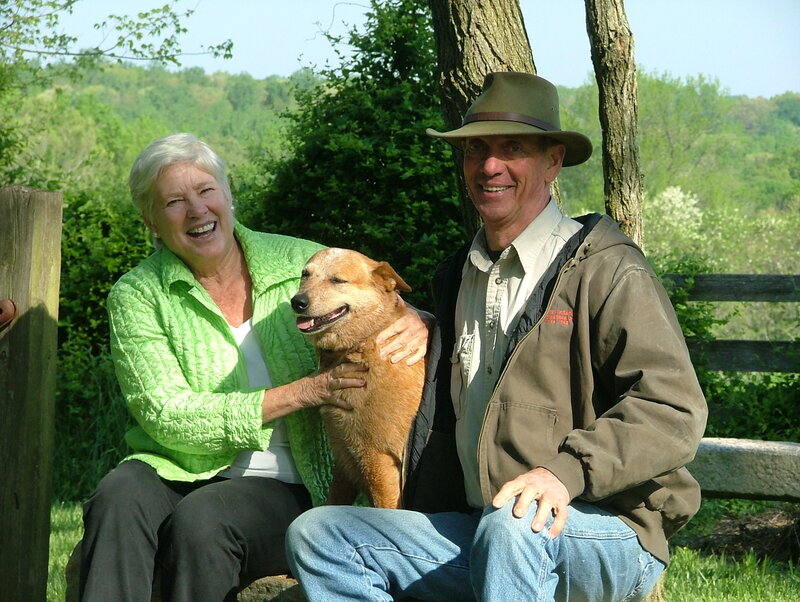 2007 Stewards of the Land, a national award by the American Farmland Trust! They sell their organic grass-fed beef through Lulu’s Local Food Co-op. James River Work Center- The state farm. Home to the Thoroughbred Retirement Foundation’s Greener Pastures Program. Rescued racehorses are given a second chance at life when their racing careers are over due to age, injury or performance. Horses are matched with offenders in a training program. Offenders graduate with a Groom Elite certification, giving them job skills to work in the horse industry. Many of the horses are available for adoption. It’s the only program of its kind in Virginia. Now home to 30 horses with 30 Groom Elite graduates! The TRF National President , Robin Williams, started the program and lives in Goochland. You could say the state farm is Little Hollywood West. HBO’s John Adams was filmed here. Boston harbor and Braintree still sit waiting for a sequel perhaps on the Powhatan side. Tanglewood Ordinary- A historic property family-dining Southern style! Fried chicken, anyone? Don’t miss their collection of Post magazines. Tucker Park at Maiden’s Crossing- Goochland’s newest river park in development. Will be the site of a music ampitheater, birding platforms, trails, fields and primitive boat launch. Brightly Bed & Breakfast- Historic B&B, one of only two in Goochland. Beautiful gardens. Nadolski’s Butcher Shop- Specialty boutique butcher with locally sourced meats, specialty items, sausages, wine, beer and cheese. Home of many special events. Goochland Courthouse- Built in 1826 by Cumberland builder Valentine Parrish and Dabney Cosby (a Staunton brickmason who had worked for Thomas Jefferson at UVA.) TJ’s influence is seen in the architectural details including the Tuscan portico, full Tuscan entablature, temple form and color scheme of red brick and white trim. Did you know, the brick wall was built around the complex to keep out wandering cattle! White Hawk Music Cafe- Goochland’s musical metropolis! Combines music education (over 100 students in guitar, piano, voice, banjo, mandolin) with live performances and cafe food. A gathering spot with pickin’ parties every Thursday night, open mic on Tuesdays, and live music on the weekends. Orapax- 700 acre hunting preserve for quail and pheasant. Customers come from over 39 states and six countries!! Rapalee Taxidermy- Showroom open to the public, see dynamic mounts of over 100 animals from around the world. 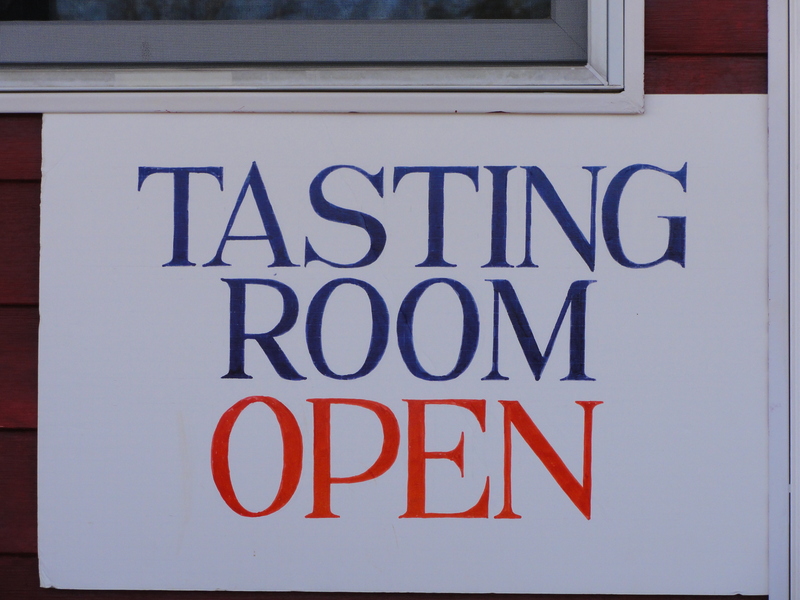 Byrd Cellars Tasting Room- Sample wine from three local vineyards. Part of the 35 Mile Drive Wine Trail which includes Grayhaven Winery, Windsong Winery & Byrd Cellars. Rassawek- Stunning property, home to the Spring Jubilee Heritage & Wine Festival May 21-22. Vineyard (Byrd Cellars) and village of reclaimed structures with historical value. Available for private rentals. Can see three counties and the James River corridor from the gazebo (formerly of 6th Street Marketplace!) Two restored log cabins, James Madison’s Montpelier greenhouse (now the wine tasting room,) music pavilion, ponds and trails. Named for the original Monacan Indian settlement along the river nearby. How green are you? Test your knowledge and learn about: sustainable food, green gardening, organic foodie, seasonal food, plastics, water conservation, green kitchen, green laundry room, green bedroom, green bathroon, home insulation, saving gas, energy conservation, energy IQ, going green, air conditioning and home heating. So how can you green up your food choices? To quote Mr. Peanut this time, “you are what you eat from your head down to your feet.” As someone who grew up in the late 70’s and 80’s with the likes of Wonder Bread and Little Debbies in my diet, that’s something to ponder for sure! In today’s complicated world, the best way to green up our diet is to simplify. Eat organic when possible, buy local and/or grow your own fruits and vegetables. Eat unprocessed, unpackaged food when possible. If you eat meat, choose free-range organic grass-fed options. When possible, avoid genetically modified crops (GMO) like wheat, soy, corn and cotton. But that is a topic for another day. In short, get the chemicals, hormones and antibiotics out of your food. Here in Goochland County, in central Virginia, we are fortunate to have a vibrant local food community. As you think about making smart food choices, remember to buy fresh, buy local and get the good stuff on your table. Be Green. Be good to each other. Be good to yourself. If you live in central Virginia and are interested in balancing rural conservation and economic development, make plans to join the conversation on Wednesday, April 27 at the Centerville Firehouse in Manakin-Sabot. Enjoy presentations and opportunities for Q&A and dialogue about the process, challenges, opportunities, and context of engaging the community in village development in Goochland County. Partnership for Smarter Growth (PSG) is the regional hub for smarter growth education and implementation. PSG’s mission is to educate and engage the communities in the Richmond region to work together to improve quality of life by guiding where and how we grow. We address the interconnected issues of land use, transportation, housing, conservation, food security, and economic development integral to our quality of life. The Goochland Village Series engages high quality speakers and local citizens and leaders to explore how conservation coupled with appropriately designed communities in the right places can ensure preservation of rural character and a strong economy for Goochland county. PSG is pleased to work closely with Goochland organizations and residents to present this program. Our first event, entitled What Makes a Village and held in November of 2009, was a partnership with the County of Goochland and featured architect Carlton Abbott and landscape architect Ralph Higgins. Our second event, Learning from a Neighboring Village Model, was held on February 9th and brought together public and private stakeholders involved in creating a village in New Kent on existing infrastructure. 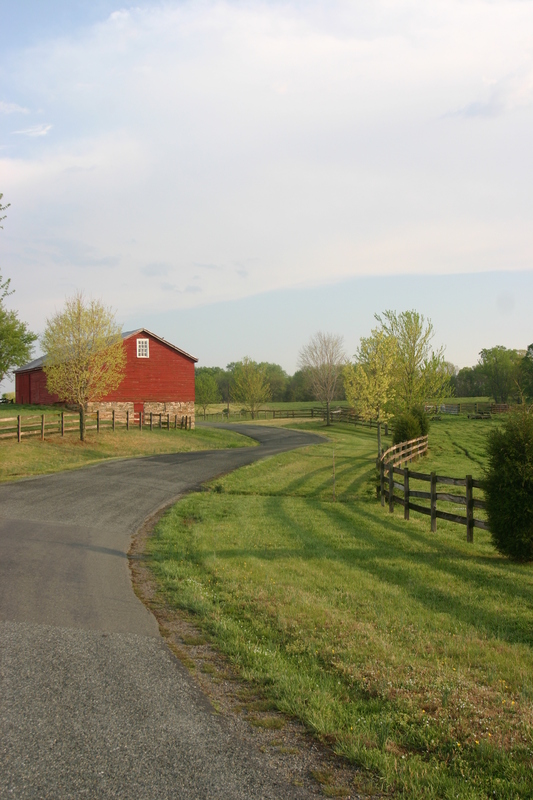 This final event in the series, Community Design Goals and Processes for Goochland Villages, highlight the perspectives of Goochland County decision makers and land use and planning experts on how to engage the community in village development in Goochland. 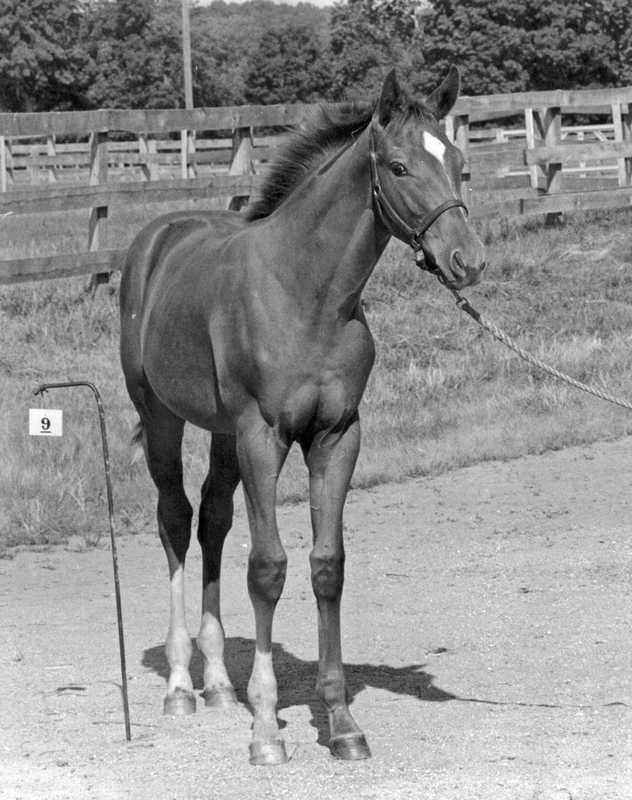 Highlights include a Secretariat look-a-like contest to be judged by Penny Chenery, her daughter Kate Tweedy and some of the grooms who cared for Big Red as a young colt! $500 to the winner. 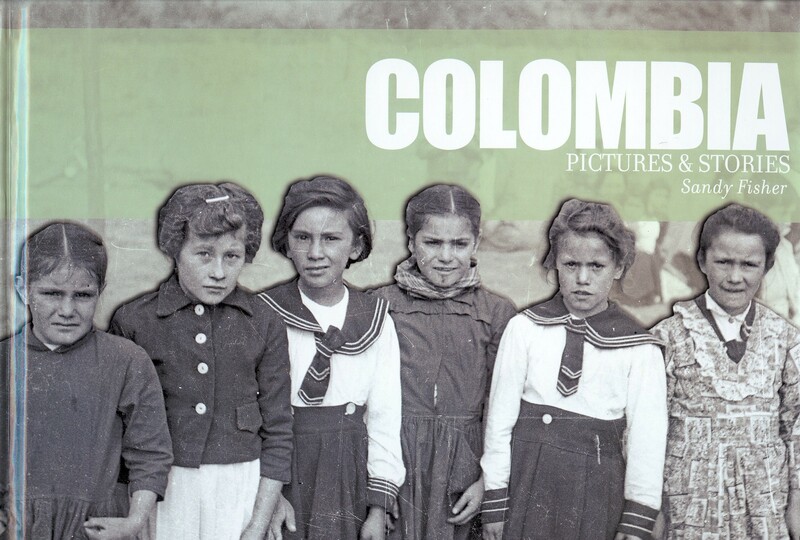 Tickets start at $5, children under 5 are free. Call the box office for information at 804-994-2744. Proceeds will benefit the planned Museum of the Virginia Horse at The Meadow. Be on the lookout for an article on Secretariat by Aynsley Miller Fisher coming soon in the Virginia Sportsman. Heat and Drought…No Problem! Reblooming Iris a Winner. 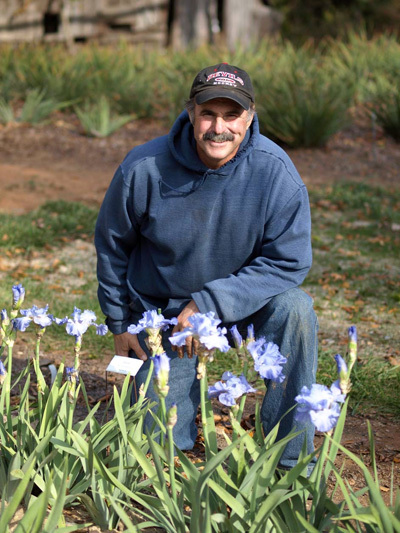 Mike Lockatell of Roots and Blooms in Powhatan, Virginia specializes in breeding hybrid Siberian Iris and reblooming Bearded Iris. The following article, written by Lockatell, was published in the AIS (American Iris Society) Region 4 Newscast publication in which he documents the results of several reblooming iris throughout the state. The results indicate that reblooming iris have a promising future. In spite of record heat and drought during the summer of 2010, the iris continued to perform. Visit the Joyce Lockatell Memorial Gardens in Powhatan where you can see many of Mike’s award-winning flowers on display. Roots and Blooms specializes in heirloom perennials for today’s garden including Irises and Peonies. Roots and Blooms is a member of the 35 Mile Drive Association. Visit our website at www.35miledrive.com . Rebloom was put to the test this past summer in Region 4. Record heat and dryness wilted many gardeners and their cherished plantings. Prospects for summer and fall flower were dim. Against all odds, consistent rebloom did materialize. Survival had some unexpected pleasant blessings. The Richmond area saw its hottest summer on record. The National Weather Service considers summer to be June, July and August. The average daily temperature for the three month period was 81.3° F, which eclipsed the previous record of 79.6° F posted in 1900!! Meager summer rainfall added to the misery. Only 5.93 inches were recorded during the span. Summers with drier readings were 4.46 inches in 1921 and 5.24 inches in 1912. Lack of rainfall was one factor contributing to abnormal summer warmth according to a meteorologist interviewed by Rex Springsten for the Richmond Times Dispatch. The bleak growing conditions however did not discourage rebloom in my garden. My daily diary indicates summer flower began appearing during the second week of June. SDBs Double Overtime (Tasco, 2004) and Sailboat Bay (Zurbrigg, 2001) kicked off the early parade TBs Summer Radiance (Wilkerson, 1996), Anxious (Hager, 1992), Durham Dream (Zurbrigg, 2000) and Northward Ho (Zurbrigg, 1991) flowered on multiple bloomstalks until crushing heat arrived in early July. July heat was oppressive. Daytime temperatures frequently hovered between 90° F and 100° F. As August approached, rebloom suddenly reappeared on both named varieties and seedlings. ‘Northward Ho’ without any prodding resumed summer flowering. The strawberry pink plicata has now turned in solid summer rebloom in consecutive years. A combination of ‘Northward Ho’ and Double Vision (Ghio, 1999) has produced children with summer and early September flowering. They had performed well during the same time frame in 2009. It was encouraging to see similar results under more challenging conditions during the past year. The big surprise in August was finding bloomstalks on offspring featuring Gate of Heaven (Zurbrigg, 2004) mated with Zurbrigg Seedling Nos.# TT109 and 20360A-L. The extreme growing conditions clearly affected stalk height, branching and flower quality. An important Zurbrigg breeding goal was to develop reliable late summer and early September remontants. The performance of both ‘Northward Ho” and ‘Gate of Heaven’ seedlings in my garden indicates future rebloomers can acquire this valuable genetic trait. Lois Rose from Partlow, VA has dedicated a large portion of her bearded iris plantings to remontants. The FAIS member has worked with me over the years to use her garden results as an important check against mine in Powhatan, VA. We strive to test new selections and chart rebloom consistency on well known varieties. Micro climate quirks still confound our best intentions. Lois however was able to water, so she did have good fall results despite Dante’s Inferno. Outstanding rebloom was obtained during September on IB Low Ho Silver (Byers, 1989). The white median had a whopping eight plus stalks through October. The late Sterling Innerst’s tall bearded rebloomers turned in solid efforts. Lois recorded four stalks on Again and Again (Innerst, 1999), seven on Lunar Whitewash (Innerst, 2003) and six on Over and Over (Innerst, 2000). Sterling effectively used Hager, Hall, Mahan and Zurbrigg breeding to create a rich rebloom legacy to benefit both iris gardeners and future breeders. Solid September-October median performers were SDBs Rosalie Loving (Spoon, 2003) and ‘Sailboat Bay’, IB Tawny (Pray, 1974), BB September Buttercup (G.P.Brown, 1962) and MTB Lady Emma (F.P. Jones, 1986). Maryland Ho (Hornstein, 2003) was an exceptional Region 4 origination. A tall bearded plicata out of ‘Northward Ho’, it produced four stalks during the period. Past Zurbrigg TB favorites also did well. Earl of Essex (Zurbrigg, 1980), I Do (Zurbrigg, 1974), Jennifer Rebecca (Zurbrigg, 1985), Renown (Zurbrigg, 1992) and Youth Dew (Zurbrigg, 1980) had an average of three bloomstalks per clump. The late Bernice Miller’s ‘Born Again’ (1977) was a prolific fall bloomer. The dark crimson bitone tall bearded had seven stalks!! FAIS president Doug Chyz and member Sue Shackleford filed encouraging reports. Doug found median bloom on SDBs Blueberry Tart (Chapman, 2002), Giggler (Spoon, 2001), Pretty Girl (Spoon, 2001), Sky Willow (Spoon, 2004) and Smell the Roses (Byers, 1988). He also reported fall bloom on TBs Queen Dorothy (Hall, 1984) and Witch of Endor (B. Miller, 1978). The Shackleford garden had rebloom on both older and recent releases. Four recent tall bearded introductions from Kentucky remontant breeder Betty Wilkerson made the grade. Fall flower occurred on Another Bridge (Wilkerson, 2005), Echo Location (Zurbrigg, 2007), Star Gate (Wilkerson, 2005) and Tara’s Choice (Wilkerson, 2004). Zurbrigg releases reblooming for Sue were Clarence (Zurbrigg, 1991), ‘Earl of Essex’, English Cottage (Zurbrigg, 1976) and ‘Gate of Heaven’. Innerst TBs mentioned were ‘Again and Again’ & Lunar Whitewash. Older selections in fall flower were TBs Buckwheat (Byers, 1989), Istanbul (Byers, 1990), Rosalie Figge (McKnew, 1991) and ‘Queen Dorothy’. CVIS members reported the following fall bloom in their November 2010 Newsletter. June and John Rosini had June rebloom on IB Double Your Fun (Aitken, 2000). Other median rebloom in their garden was Plum Wine (Weiler, 1986) and MTB ‘Lady Emma’. TBs Perfume Counter (Zurbrigg, 1972) and Iceland (Byers, 1991) reached fall flower. A number of additional remontants had developing stalks and buds. Jim Diggs enjoyed rebloom on TB (Daughter of Stars, 2000) and Shirley Shelton had multiple fall bloom on ‘Again and Again’. Don Rude from Blacksburg, VA saw rebloom on ‘Gate of Heaven’ for a month. Initial flowering started on September 1st. Don also saw fall bloom on TBs Mango Parfait (Spoon, 2008) and Frost Echo (Aitken, 1995). Linoa Adams from Raleigh, NC had November/December flowering on TB Matrix (Hall by Zurbrigg, 1992). Extreme summer heat and drought for the most part delayed bloomstalk formation on most reliable rebloomers until the latter stages of October throughout Region 4 in 2010. Hard frosts started materializing in the beginning of November damaging most developing stalks. This report tried to focus on reports of actual bloom. We still however appreciate any emerging fall bloomstalk reporting. This information is still tabulated and available to any interested member or rebloom breeder. Results indicate many recent introductions seem to be consistent in any weather condition. Lets focus on the positives in an otherwise brutal year. If some of the current reporting trends continue, rebloom still has a great future ahead of it.